KHD Valves Automation Pvt Ltd is a High Quality Safety Valves Manufacturer in Mumbai, Maharashtra, India. We are a leading manufacturer of Safety Valves in Mumbai and nearby areas. Our Safety Valves are manufactured according to International ASTM ANSI Standards, ASTM API Standards, ASTM DIN Standards in India. Mail us for Easy and Quick Quotes at Factory Prices. KHD Valves Automation Pvt Ltd specialize in the Safety Valves, Safety Relief Valves. 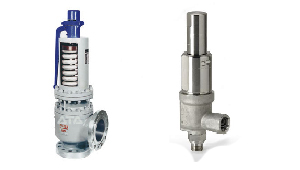 We offer our safety valves, safety relief Valves and relief Valves to a number of industries. In addition to servicing our local and national markets with our safety valves, we also have a business presence established in Europe, Australia, Mexico, Middle East and Latin America. Regardless where you are located, we can provide a Safety Valves to suit your needs. Characteristics: Fire safe design, High Pressure Rating, Inspected, Quality Tested. Safety Valves Manufacturers:- What are Safety Valves? A Safety Valves is a Valves that acts as a fail-safe. An example of Safety Valves is a pressure relief valve, which automatically releases a substance from a boiler, pressure vessel, or other system, when the pressure or temperature exceeds preset limits. The most important benefits of using Safety Valves are the full bore for the flow media, and 100% air tight shut off – even on solids such as granules, powders, pellets, chippings, fibres, slivers. "Nozzle" inside the Safety Valves starts to receive a higher pressure from the inlet side of the valve. When the pressure becomes higher than the set pressure, "Disc" starts to lift and discharge the fluid. When the pressure decreases until the set pressure, the force of the spring closes "Disc". Role of the spare parts. 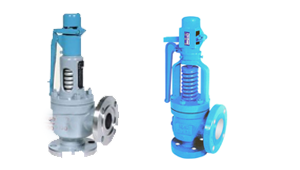 KHD Valves Automation Pvt Ltd are suppliers, dealers, exporters and manufacturers of Safety Valves in India. Our high-grade range ofFoot Valves are perfectly . These are designed and developed in accordance with the international quality standards. Safety Valves that are precisely engineered using the prime quality raw material. We offer customized Safety Valves as per the requirements of the clients . Stainless Steel Ball Valves in India. Stainless Steel Gate Valves in India. Stainless Steel Globe Valves in India. Stainless Steel Check Valves in India. Stainless Steel Control Valves in India. Best High Grade Safety Valves and other Valves with optimum quality availabe at KHD Valves Automation Pvt Ltd. The best in business and world Leading dealers of Valves. KKD Valves Automation Pvt Ltd is the best in business and world Leading dealers of Safety Valves. KHD Valves Automation Pvt Ltd Safety Valves offer all the proven design attributes of standard 2-way Valves and are available in a wide range.